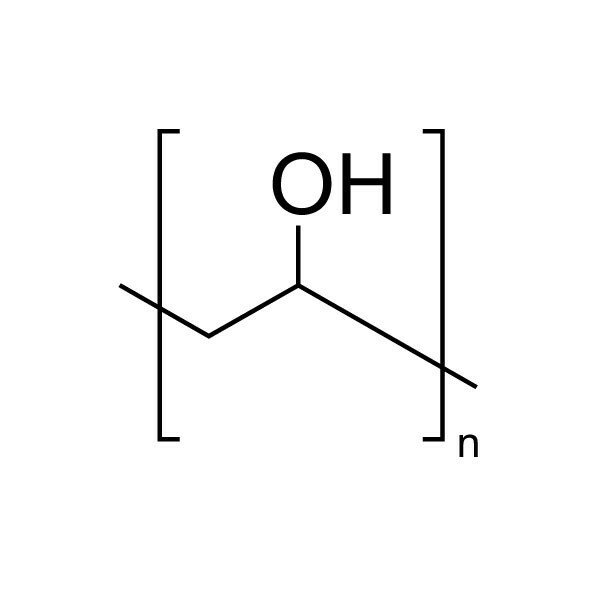 Poly(vinyl alcohol) [MW 133,000] | Polysciences, Inc.
Polyvinyl alcohol (PVA, PVOH) is a water-soluble resins of low toxicity. Resins at high % hydrolysis require heating at ~96°C in water for solution. Resins of lower % hydrolysis can be dissolved at progressively lower temperatures with 88% hydrolyzed resin requiring only 85°C for solution. hot glycerol, hot glycols, hot water.